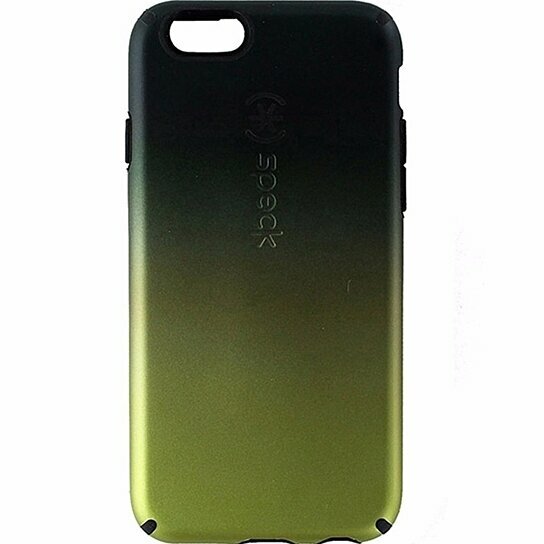 Speck brand products CandyShell Inked Luxury Edition Hybrid Case for Apple iPhone 6 (4.7" inch) and iPhone 6s. Lime Yellow Faded to Black hardshell finish with Soft black trim and interior layer. Raised bezel helps protect screen. Military drop standards.